Could this be the right Email Marketing Tool for you? 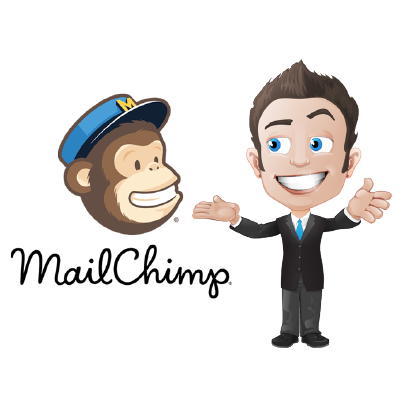 This Review Will Teach You Everything You Need To Know About MailChimp Email Marketing Tool. The EntrepreneursGateway.com Team have left no stone unturned in this Definitive Review. What are the Pros and Cons of MailChimp? How does MailChimp Compare against the Competition and Ratings? Most importantly, will MailChimp get the EntrepreneursGateway.com’s seal of approval as being one of the best Email Marketing Tool’s on the Market? For basic email marketing, it works flawlessly, but not for more complex automations. Its free plan is the most generous plan anywhere and is also very competitive with paid for plans. User-interface is very intuitive with only a few limitations. Active community groups, great live chat support, and extensive documentation. Great! Is MailChimp The Right Email Marketing Tool for you? Reasonable form builder (but inconsistent across form types). Extensive library of expertly created email templates. Well supported by other third-party services and apps. The segmentation and grouping options can be quite confusing. When you think about email marketing tools, the first one that normally springs to mind is MailChimp. It’s probably because of their great marketing and their charming monkey! Established back in 2001, by Ben Chestnut and Dan Kurzius, MailChimp’s headquarters are based in Atlanta, with additional offices in Brooklyn and Oakland, and, employs over 800 staff. MailChimp offers everything you need for business growth. From sending out emails, to running a targeted campaign, to setting up email automations, and now claim to send over 600 million emails daily through their platform. That’s a lot of emails! In this review, I will be seeing just how MailChimp copes with email marketing and what my likes and dislikes are. In this section, you’ll discover which method MailChimp uses with list segmentation. Let’s find out how MailChimp did. There’s no denying that tag-based systems are much better, so why is MailChimp still so heavily list-based? I’m not sure why they haven’t made the change! At the moment, your current contacts will be counted several times if they are included on multiple lists. For this not to happen, you need to use MailChimp’s segmentation options, but that’s very complicated! It is possible to segment your lists by creating ‘groups’, but it does get very confusing and quite frustrating. For example; you want to identify anyone that clicked on a specific link in an email you sent. Because it’s not possible to add any behavior-based tags, trying to pull this off is difficult. 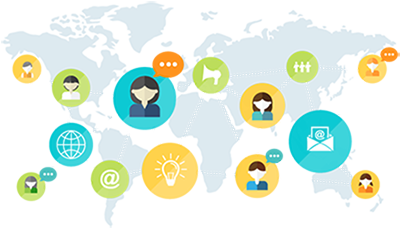 With post-campaign segmentation, you will get pretty close but will count for every link that’s clicked in the campaign. If you were to download a report and check which subscribers clicked on a specific link, you can then re-upload those people into a new list…..
See what I mean?…. its such a pain when other email marketing tools out there let you do this by simply clicking a button. It’s fair to say that this is my biggest issue with MailChimp, and prevents itself from being a strong contender in today’s market. The technology is there inside MailChimp, but being limited to just a one-off segmentation is even more frustrating!!! Verdict: MailChimp is still in the list-based age, and we've no idea when this transition to a tag-based era is going to happen. Automation is the main reason why people use email marketing right?…..Can MailChimp automate your marketing to save you time and increase your profits? With MailChimp, you are given ‘workflow recipes’, giving you’re a pre-made automation framework from which you can build upon, meaning that you don’t need to start from scratch. These ‘workflow recipes’ don’t have a lot of substance, and I feel that it’s something anyone could copy within a matter of seconds. OK, so what I really struggled with automations builder. It was so basic. Not what you would expect from a company like MailChimp. For one, it’s only possible for you to build linear automations which really limits you to building basic automations. This seriously prevents you from building anything advanced or intelligent. Verdict: MailChimp isn't for you if you are looking to build anything BUT extremely basic marketing automations. In this section you’ll discover just how MailChimp manages it’s split testing capabilities? Yes….. I can now give MailChimp a little bit of credit! They have got their split-testing ability spot on! MailChimp's #split-testing #functionality is truly spot on! You not only have a whole lot of options that you can play with, it even manages this without it feeling too over complicated. It’s impressive, but there is one slight issue in that this function will only work when you send one-off email. At present, there isn’t any support for autoresponders. Nor is there any ability to split-test their automation workflows. It’s something I feel would be a winner if they did. Verdict: Although you don't get to split-test your automations, this is one of the best and simple split-test environments you can come across. 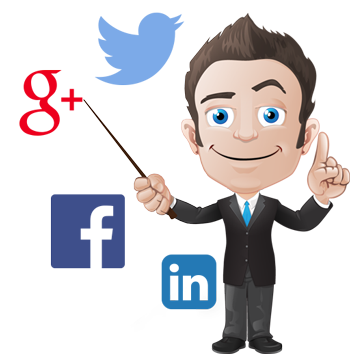 Almost every email marketing tools have their own form builder. But…..are MailChimp’s form building capabilities enough to help you to build your forms seamlessly to ensure your leads are captured through whichever method you use? You have the option of building your forms and hosting them on MailChimp’s website or your own website. The form builder is really where smart things happen, and it does offer you everything you need to be able to build both a clean and high-converting form. And it’s important to note that configuration and design options will change depending on the form type you choose. Wanting to design your own forms? Similar to the layout options, the control level you have over your customization changes is dependent upon the type of form you build. It would be nice to have seen some type of consistency with this. It did work, but I felt the interface was very old-fashioned. Verdict: Spot on with the basics, but felt the builder is very average. So how does MailChimp compare when it comes to their choice, design, customization and responsiveness of their email templates? MailChimp’s email templates were excellent. Compared to its competitors, they offer the most well-designed and diverse selection of templates. What’s even more appealing is that you can start from scratch if you didn’t want to use one of their templates. This approach looks at the purpose of the email, rather than what it looks like (telling a story or selling a product). All good so far….now onto the template editor. In terms of customization, the template editor is very adaptable. I noticed only a few limitations, such as not having the ability to adjust both the top and bottom margins, but overall, I’m happy with them. Verdict: With some of the best email templates available, MailChimp's visual email editor is also pretty good. Can MailChimp communicate with third party applications? It’s fair to say that when it comes to app integration, MailChimp is by far the most supported of all the email marketing software tools out there. They have over 700 integrations available to their customers. Verdict: MailChimp is the market leader with their integrations. How does MailChimp rate at being able to review its data analytics so that it helps you to improve the overall effectiveness of your email marketing and also improve your profits? This is a section of MailChimp that will definitely win you over. With its simple design and comprehensive data, it’s more than enough for anyone who wants to go all out with their analytics. Having entry to automation and comparative reports lets you delve into the numbers to make parallel comparisons over your campaigns. You can view monthly performance reviews and some additional stats, but it’s important to note that their comparisons are only offered on their higher tier plans. This feature is only available if you are on one of the higher level plans, and as such, I couldn’t test it. Verdict: Other than the comparative reports restriction, MailChimp offer extensive reporting facilities. Having the option of speaking to an actual human is what most of us look for when we need help, so having the live chat option is always good. You can also email your query which is just as helpful. That being said, you will probably find what you’re looking for through their knowledge base, so that would be a good start! Finally, there is a MailChimp Answers Facebook community group that has over 2,000 members. For a more analytical, instant result, test with GlockApps. This process is covered in more detail – check out my roundup review on email marketing tools, so go check it out! With our testing, the open rate for MailChimp came in at a respectable 35.7%. If you’re looking to save a few pennies, MailChimp is regarded as being one of the more reasonable options available. What makes this appealing if you are on a tighter budget is the forever free plan allowing up to 2000 subscribers and a massive 12,000 emails per months, without even spending a penny. That’s not all, and it recently started to give free users access to marketing automation, which was well received. They do come with the MailChimp branding, but still, this is a very competitive free plan. Through most of this review, MailChimp has stayed true to its easy use, with the majority of this down to the interface being so user-friendly. It also does a fantastic job of breaking down sophisticated features such as A/B testing into something much more manageable. This is great for small businesses as it can take advantage of the free plan, with the choice to upgrade when more sophisticated functionality is required. This list of the best email marketing software would be lacking without MailChimp. It’s a service which has been around since 2009 and is one of the leading tools on the market today. MailChimp’s biggest and most powerful e-commerce features are driven by your store data. When connecting to your store, your purchase and your customer’s information will sync automatically, giving you the ability to build your list and provide the option to subscribe at the time of checkout. All this information helps you to learn what your customers like, thus being able to recommend a product they may want. MailChimp has been around for quite some time, now, and is a reliable email service provider providing you with all the basics you require to add email marketing to your business. 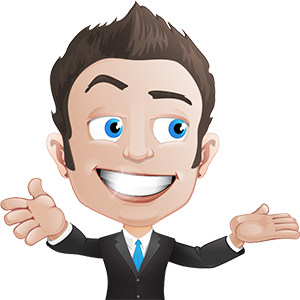 If you’re a newbie to email marketing, and on a budget then this is perfect as it has the bonus of the forever free plan. 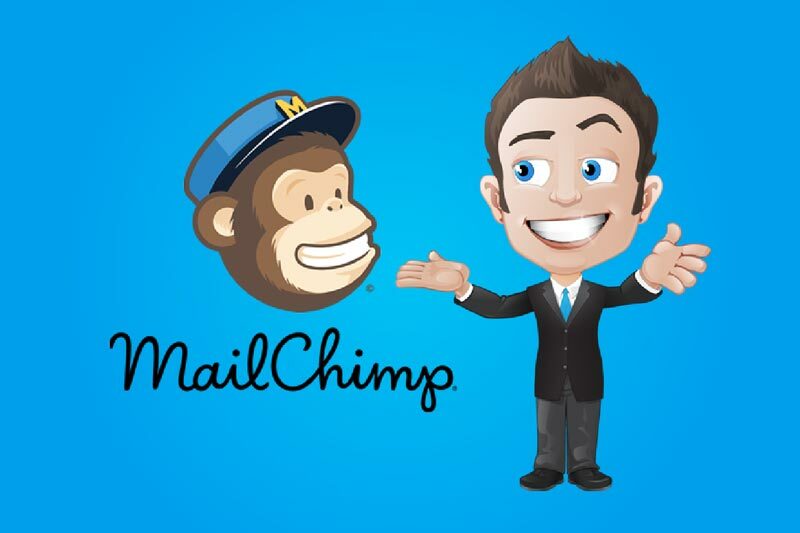 Are you going to purchase MailChimp or are you already using it? Feel free to leave a comment below and, we’ll see if I can help…. or check out the other reviews like ActiveCampaign or ConvertKit.